The value of pipe #400 is n/a points. 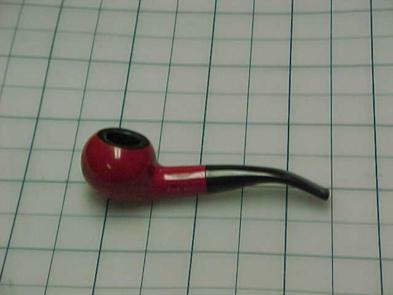 The 2002 NASPC pipe show in Columbus, Ohio was again a smashing success and one of the best for me in a long time. My friend Jay Jones of Hermit Tobacco found this beauty in a lot he acquired and saved it for me. Of course I bought it because my previous Burgundy Red Author was traded away and I didn't have one to smoke any more. I am so happy to have this one to add to the Pipes for Trade page. Rick Osborn took it and two others in exchange for a New-in-the-Box California Style Author he had.